The recent news that the John Wickersham Award money has been donated to Kidscan brings the total raised so far to a staggering £10,390. Kidscan was originally chosen as the chairman’s Charity by Terry Owen when he took over the post in October 2014. It proved a popular choice not least because of a heart wrenching speech given by Lowri Turner from the charity, at a dinner in February 2015. When Andrew Ditton took over the Chair in October 2016 he decided that Kidscan should remain the Chairman’s Charity, at least for his period of office. 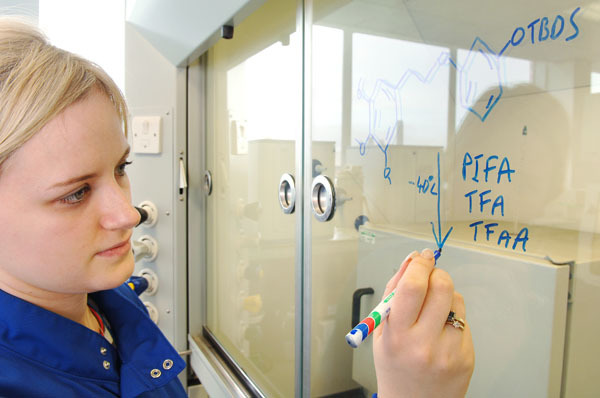 “Our vital research to discover new, safe cures for children’s cancer depends entirely on the generosity of our supporters. That’s why we’re particularly grateful for the ongoing fundraising by our long-term supporters. The lovely people at the Caravan Writers’ Guild have been raising money for Kidscan since 2014, and have just reached an incredible milestone for us. At their recent Dinner, £955 was raised through a raffle. Then John Sootheran donated the £1,000 prize for Best Video to Kidscan too. Amazingly, that takes the total raised for Kidscan to over £10,000! 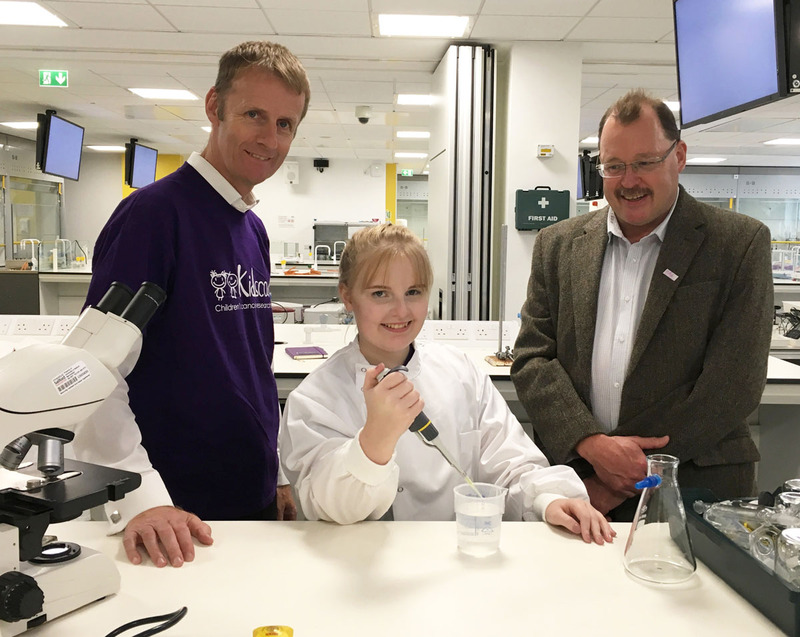 The image below shows Ged Carter, Director of Development (left), Patient Ambassador Charlotte Jennings (centre) and Scientific Director, Dave Pye (right).